Here’s the scientific and fact-based explanation of why coffee and espresso are two related, yet completely different drinks. It might seem like a stupid question, but as you will later see it’s not. Coffee and espresso are two of the most popular drinks on the planet – and they have many similarities. But there are few key differences that you should be aware of. I’m assuming you’re not from the planet Mars – you already know what a cup of coffee is. For that reason let me start by talking about the illusory espresso and its most important characteristics. Many things define a shot of espresso, but being brewed under pressure is at the top of the list. Traditionally 9 bar has been required, however, in recent years we have seen lower numbers being accepted by the barista elite. To brew under pressure, you need an espresso machine or a similar contraption. Most espresso machines have potent pumps built in. They can generate extreme pressure that can force the water through a dense puck of ground coffee. The first one is the one being employed by the classic, old drip coffee maker; the second is like that of a French press. 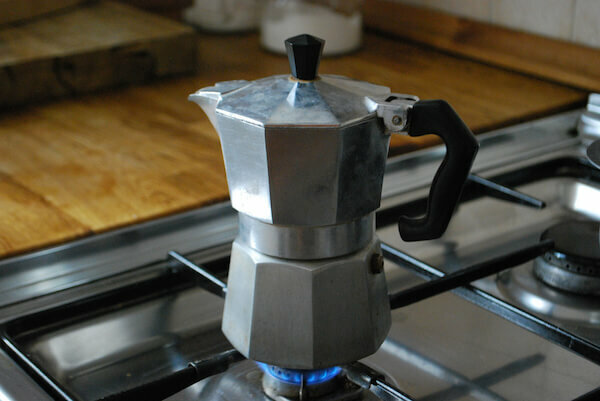 Pro-tip: A Bialetti moka pot also brews under pressure, but it only reaches 1.5 bar – for that reason, it’s not considered a genuine espresso. Another essential characteristic is that espresso has a rather extreme ratio of coffee to water. Traditionally, espresso is brewed at a ratio of 1:2. That means for ten grams of coffee you only brew with 20 grams of water. For that reason, espresso is an incredibly strong drink. 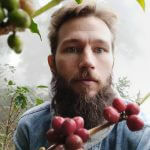 Per ml, it has a lot more flavor compounds and caffeine compared to regular coffee. A standard cup of coffee; be it French press or pour over, is usually brewed around a ratio of 1:15. Pro-tip: I like to think of espresso as a whiskey concentration-wise, while regular coffee is more like a white wine. For many people, however, the roast level is usually what comes to mind when going into the espresso vs coffee debate. Espresso is traditionally roasted darker than regular coffee. This is due to the drink’s Italian heritage. In Southern Europe, dark roasts have always been favored over the lighter ‘Nordic’ ones. Today, it’s still the case that espresso beans are generally roasted darker than coffee meant for other kinds of brewing. This is especially so because espresso is often used with milk. Drinks like cappuccino, lattes, and cortados all rely on different ratios of espresso and steamed milk. A light roast doesn’t cut through the creamy, milky flavor that efficiently, but a dark roast indeed does. Pro-tip: In many new, hipster coffee shops you can encounter single origin espresso that is quite light roasted. It seems to be a trend on the rise. Another noticeable difference is that espresso is a lot finer ground than standard coffee. 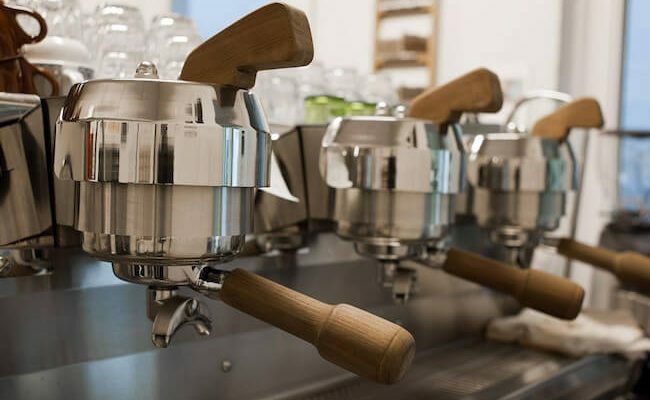 This is due to the unique 9 bar pressure brewing style that espresso relies on. When the coffee is ground super fine, almost to micro dust, it can be placed in a so-called portafilter and manually be tamped into a puck. For that reason, pre-ground beans should be used for their specified purpose. If you use regular coffee in an espresso machine, the resulting shot will be thin. If you try to use espresso grounds in a drip coffee maker chances are that your filter will be clogged or you’ll get an unpleasant and over-extracted drink. A stovetop espresso maker, in spite of the name, doesn’t make true espresso. Looking at the coffee vs espresso debate like this, it doesn’t seem that complicated. We’re clearly talking about two very different beverages. But today many new devices on the market seems to mix different styles of brewing. For instance, the Aeropress brews under pressure and can be used for espresso-like beverages. Does that mean that it’s a genuine espresso maker? Crema is an Italian word signifying the foamy, oily layer – often with a golden hue – on the top of an espresso. It’s a layer that is distinctly different from the rest of the beverage. A real espresso must have crema. This, almost mythological compound, only occurs when the pressure is extremely high. Aeropress and the stovetop espresso maker aren’t capable of achieving this. However, the delightful little gadget, the Cafflano Kompresso, is capable of just that, meaning that it qualifies as an espresso maker. A cup of coffee, on the other hand, can be used much more loosely. You’d be forgiven for calling a lot of things ‘a cup of coffee’ – the same can’t be said about espresso.